Teeth bleaching (teeth whitening) will remove the stains from your teeth. Stains work their way into the porous enamel structure. Anything that will stain a white t-shirt will eventually stain teeth. Some of the worst staining things are coffee, red wine, tea, cokes and smoking. To reduce staining you can quit smoking and drink staining liquids through a straw. Also, drinking water and brushing your teeth after eating and drinking will minimize stains. Pasadena, Texas residents wanting to bleach their teeth turn to Cosmetic Dentist Michael Nugent. Teeth bleaching is a safe and easy way to dramatically improve your smile. Everyone wants beautiful white teeth. Dr. Nugent uses at home bleaching trays to bleach his patient’s teeth. The trays are worn at home for about 20 minutes at a time. Initially, patients will use the teeth bleaching trays for about two weeks. This two week period is knocking away all the stain that has built up over a lifetime. Once the patient notices that their teeth are not getting any whiter they simply stop bleaching. In six to nine months when the teeth start to darken, the patient will bleach their teeth for one to two days. This removes the stain that has built up sense the last bleaching. The maintenance required to keep the teeth dazzling white is easy. Dr. Nugent does not do laser in-office whitening. It is very expensive, the patient’s teeth will get extremely sore and the patient will still have to use at home bleaching trays to get to the patient’s optimal whiteness. 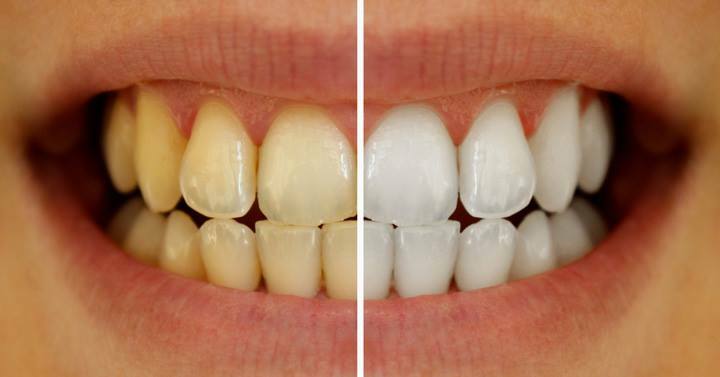 Laser whitening does work, but it will not get you any whiter than home bleaching.